Is Laser Tattoo Removal Painless? “Is Laser Tattoo Removal Painless?” Is the most common tattoo question that we are asked here at GenLife. While most people who go through the treatment don’t say it’s painful, often people will remark that it is uncomfortable. To properly assess the impact it has on your skin, it’s important to note that it isn’t damaging. Your skin isn’t damaged during the process, and more importantly, it doesn’t scar. To better explain, it’s best if we inform you on the process. Laser Tattoo Removal is a simple and quick process. There is a special device known as a q-switch laser that is designed to shatter ink in a tattoo. The laser light is pressed to the skin and applied to the tattooed area, the tattoo which is designed to reflect light instead absorbs light, which destabilizes the ink in the body. The process breaks up the ink to be absorbed by the body and removed through the body’s natural processes that use the lymphatic system as chemical transport. The process is designed to ensure no scarring or permanent skin damage can occur. Since the light itself simply disrupts the ink and not the skin, it is the safest way to remove a tattoo. 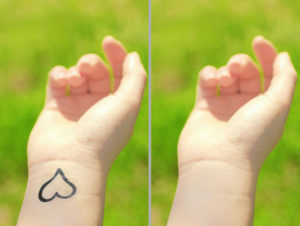 So… Is Laser Tattoo Removal Painless? Depending on the tattoo location, the process can be uncomfortable. While some clients report that they felt “pain” they also state that there is an instantaneous relief. The pain doesn’t linger, and the body doesn’t scar. So while you might experience discomfort during the procedure, you won’t feel it afterward and you’ll see the results faster and have skin so clean it’ll look as though you never received the tattoo at all. However, GenLife prepares for this! They use a Zimmer Medizin Cryo6 machine which helps numb the area by blowing cool air. Lidocaine cream is also an available option to numb the treatment site. If you are seriously looking for tattoo removal that is nonscarring and painless, there is no better place to go than GenLife! 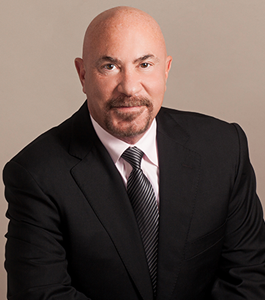 GenLife Medicine has the best aesthetics treatments in Miami. Spearheaded by Dr. Charles Mahl, who is an innovator in regenerative medicine and prolotherapy, we can provide the very best regenerative services. If you are looking for painless tattoo removal, then give us a call at (305) 332-7234 today!